Prepare yourselves for a world record setting tuning job on the Lamborghini Murcielago LP640. Now prepare yourselves for a version of the mad Italian supercar that’s been tuned up to such an extend it got a name derived from the title given to elite soldiers of the ottoman empire. You are now probably ready for the Unicate Yeniceri version of the Lamborghini Murcielago LP640. However, it is not time to find out that the German tuner Unicate came up with a five million horsepower engine or anything that might be seriously important. 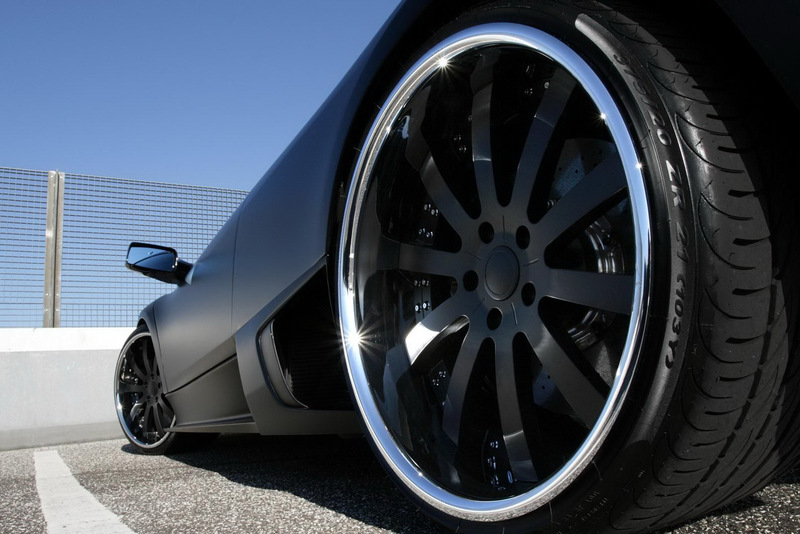 The actual world record for production vehicles that Unicate claim to hold with the Yeniceri version of the Lamborghini Murcielago LP640 is for the fattest rear tires ever fitted. The new tires measure in at 375 mm and apparently make for somewhat better handling than in stock form. This may be somewhat true but aquaplaning becomes an even bigger problem this way. Besides the “world record setting” rear tires, the Lamborghini Murcielago LP640 Yeniceri edition gets a new exhaust system, a lowered suspension and a set of LED daytime running lights. The new paintjob and the slightly revised interior aren’t exactly impressive so I’d say that German tuner Unicate really need to pay better attention to marketing.